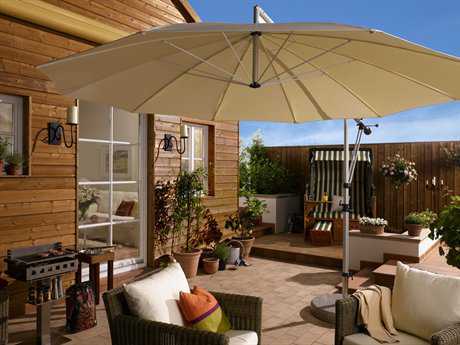 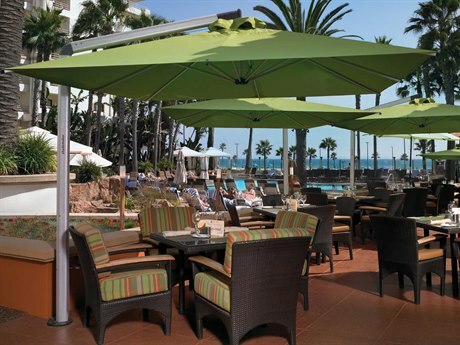 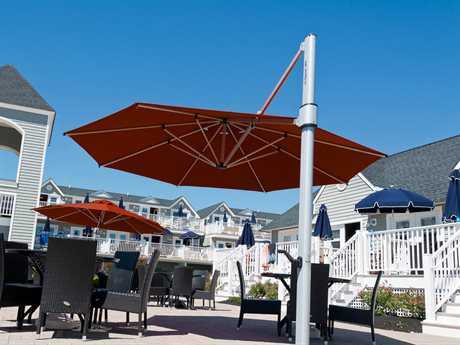 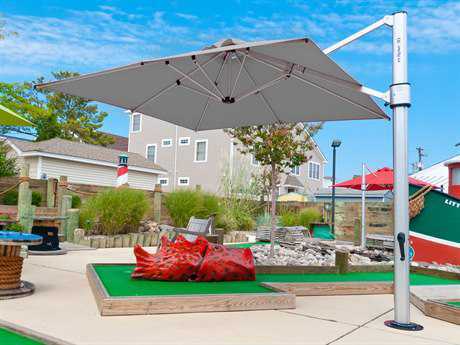 Offset patio umbrellas feature many of the same functional accessories as traditional center pole umbrellas, with several unique advantages and characteristic elements. 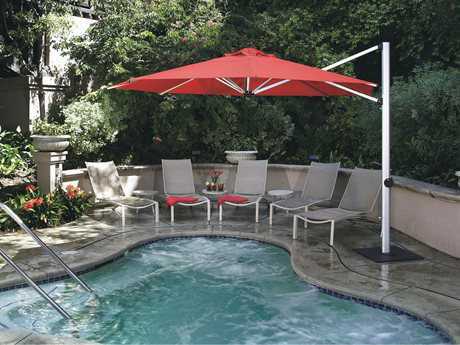 They are generally considered to be a more versatile option, because they can be used in any setting where a center pole would be an obstruction, and where adorning your space with an umbrella might otherwise be an impossibility, including on uneven surfaces or over unsolid structures, such as pools or hot tubs. 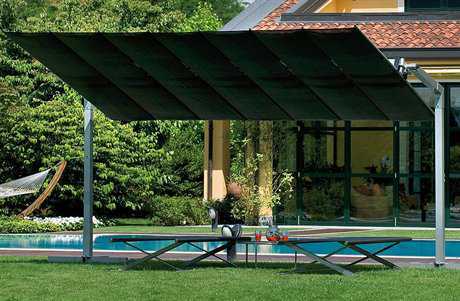 The heft of cantilevers is inherent to their design, as it is vital to their structural integrity. 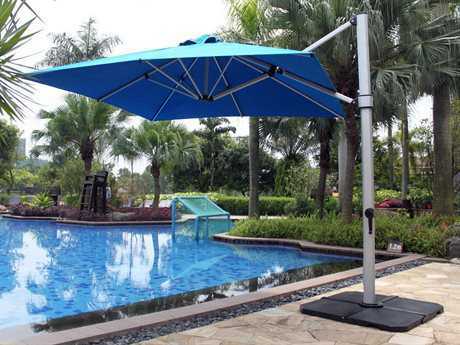 Their heavy weight makes these umbrellas suitable for windy or otherwise inclement weather conditions. 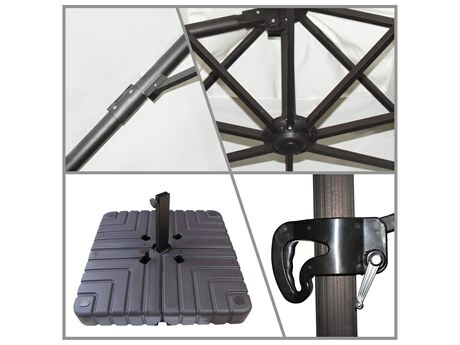 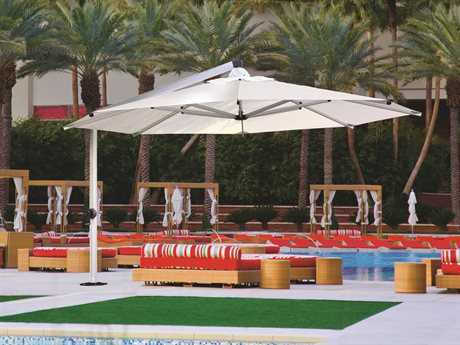 Many offset umbrellas come equipped with comprehensive rotational, tilt, and adjustment mechanisms, making them easy to adjust in a safe and easy way. 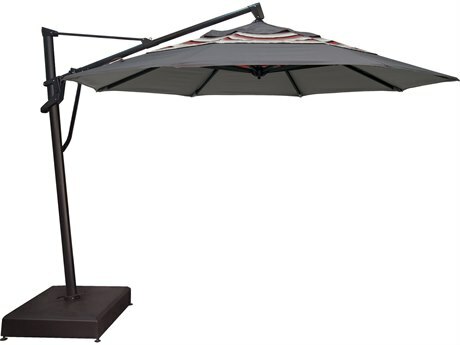 Crank handles typically deploy these models of umbrellas, and generally operate the tilting mechanism as well. 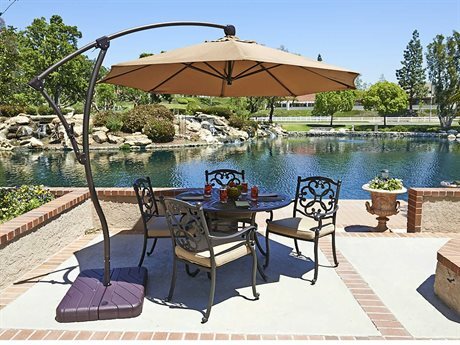 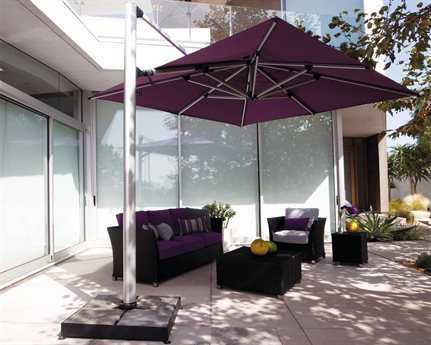 These umbrellas are also preferred because they do not take up space within your conversation or dining area. 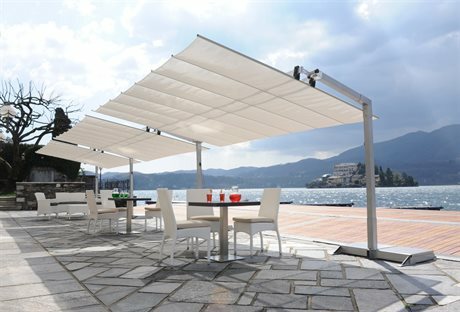 The base can be placed on the side – out of the way of traffic and furniture – and when not in use the canopy can be retracted away from the seating or dining area. 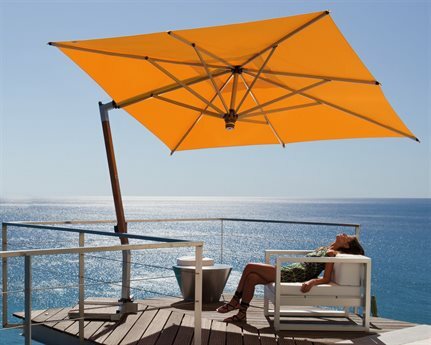 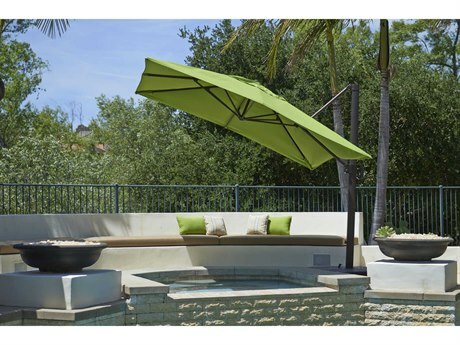 Cantilever umbrellas are available in numerous shapes, colors, and styles. 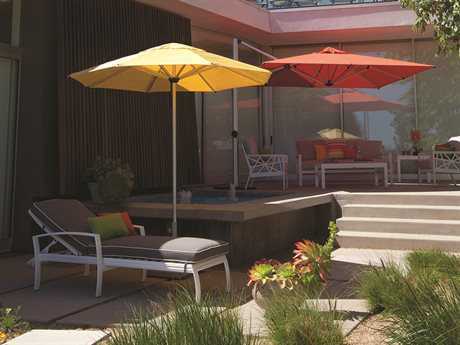 Generally they reflect a modern, contemporary aesthetic, and can have a sleek, industrial look as well. 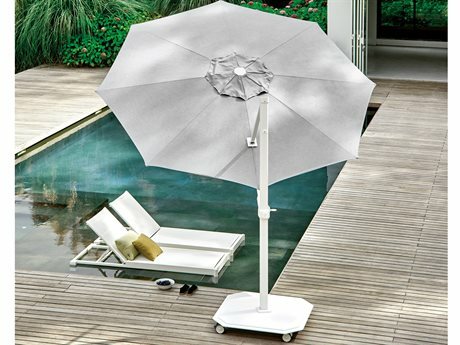 The uses for these umbrellas are nearly limitless. 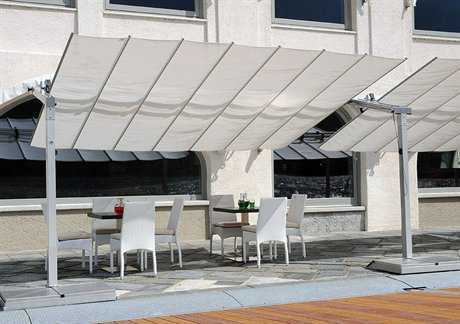 They can be situated adjacent to a large dining set or lounge set, and cast shade over any living space without disrupting the look of the furniture arrangement. 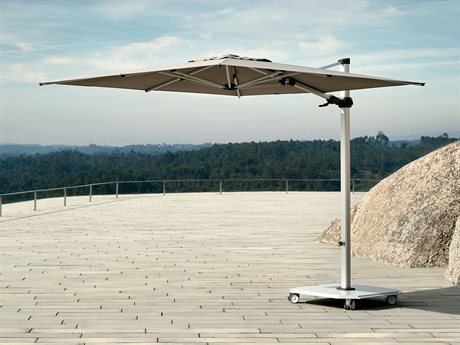 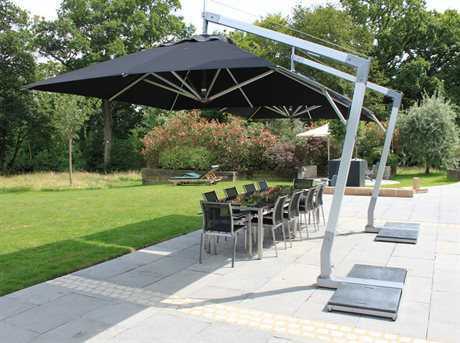 An outdoor cantilever umbrella is a perfect alternative to center pole umbrellas when paired with dining tables without umbrella holes. 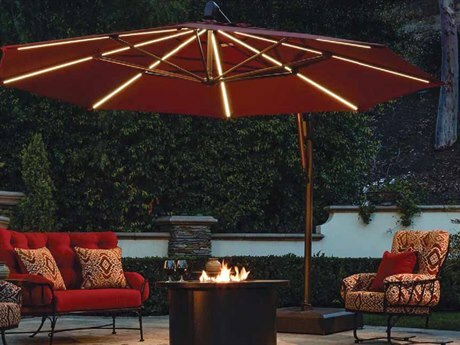 They also pair well with sets which will be used during the day as well as at night, such as furniture arrangements including fire pit tables. 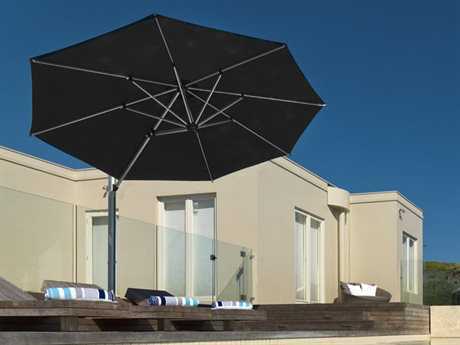 At night, cantilever umbrella shades can be easily retracted when their use is no longer required, to offer a clear view of the starry sky above. 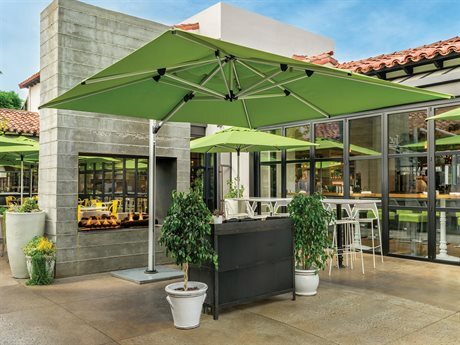 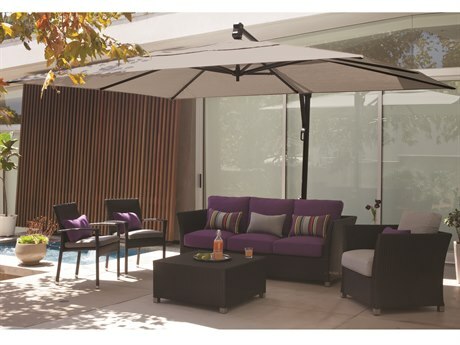 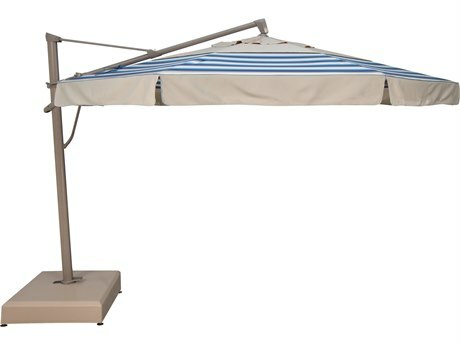 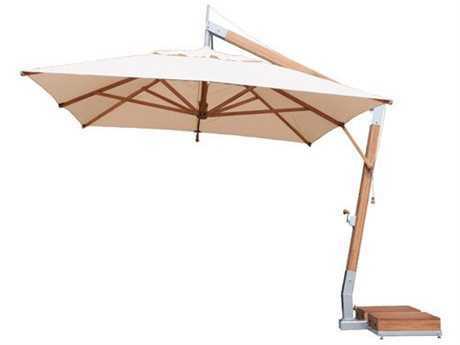 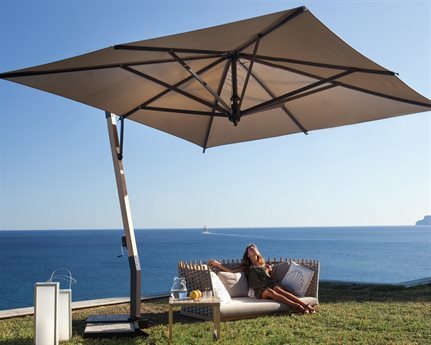 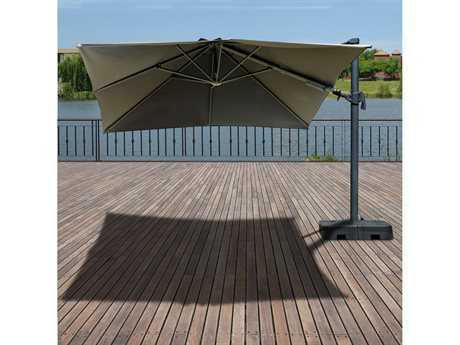 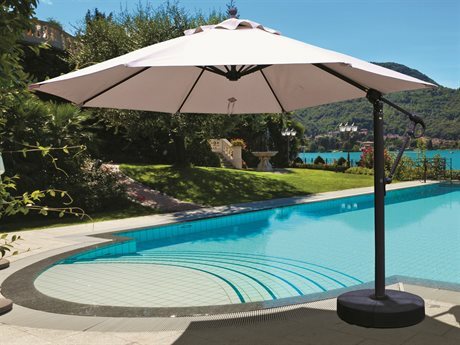 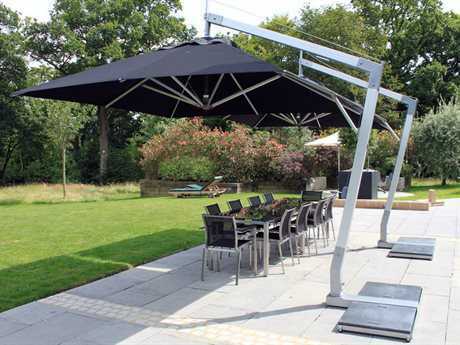 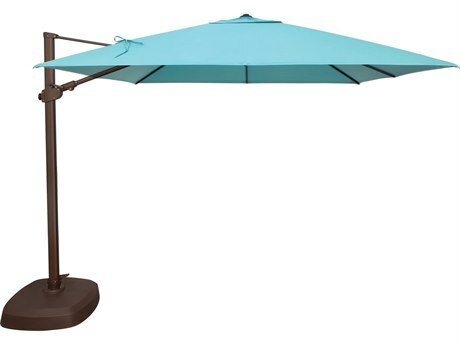 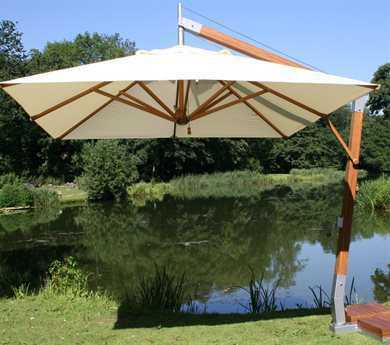 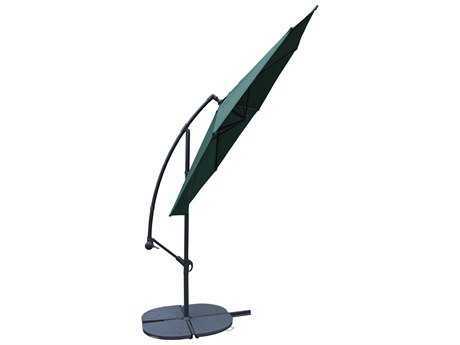 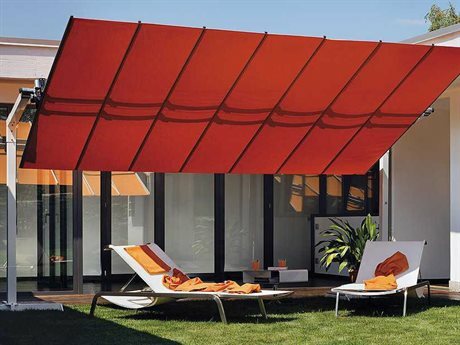 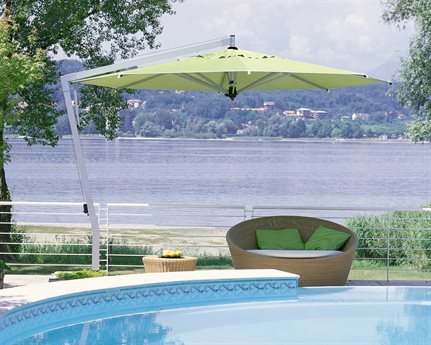 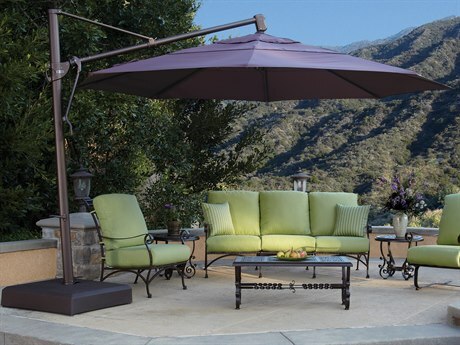 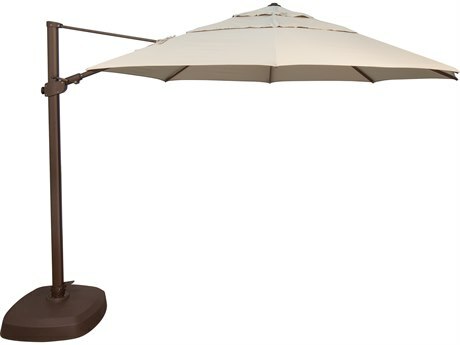 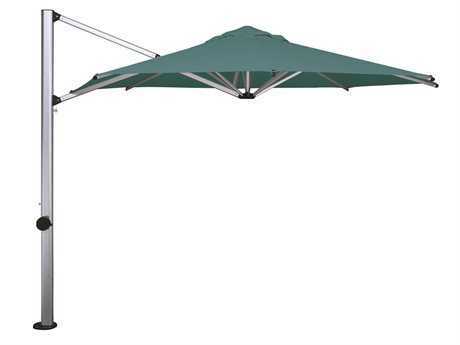 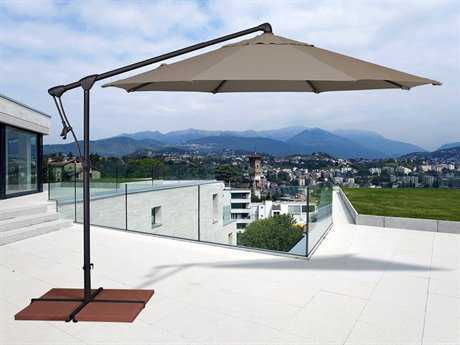 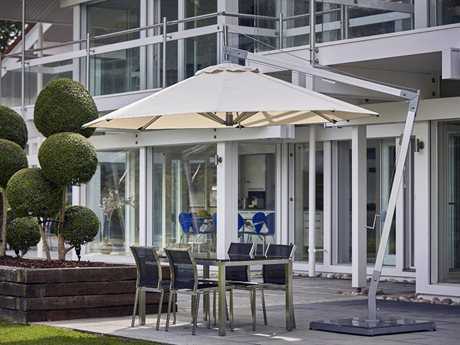 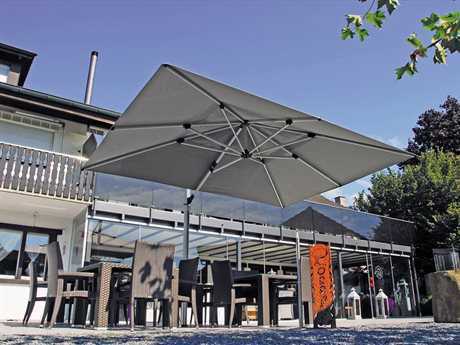 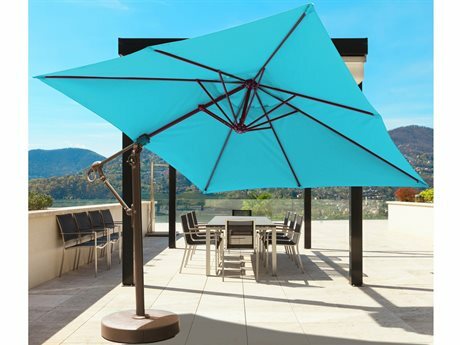 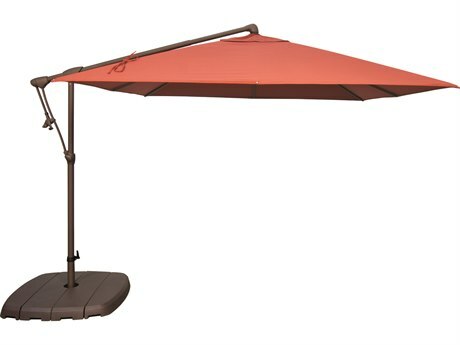 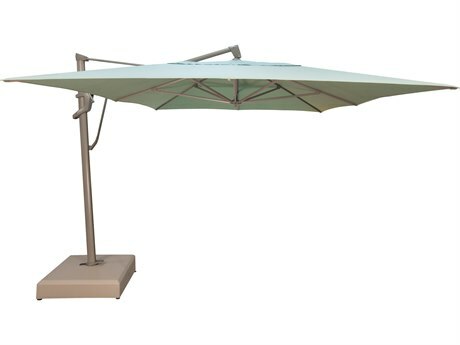 The hefty base of an offset umbrella can support unique shade designs, such as flat aluminum rectangular shades, for a decidedly striking and modern look. 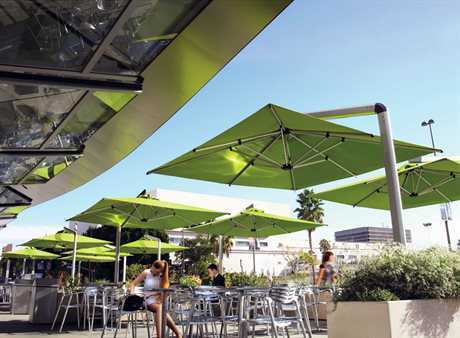 In commercial spaces, our largest cantilever umbrellas can work well in efficiently shading large areas without the obstruction of umbrella poles blocking pathways or taking up valuable space.